Lead some meerkats this week! Flametail (500pts - Nintendo) -- Originally featured as the "square" game in MaBoShi, Flametail expands the gameplay centred around touching blocks to burn them up by adding power-ups and different modes of play. We'll work on getting a review up right away, but in the meantime read our preview of the Japanese release from January to get an idea of what this game is all about. Don't Cross the Line (200pts - Aksys Games) -- A new puzzle game from Aksys which appears to revolve around drawing lines to connect boxes that compose an image. This title was originally released last November in Japan with a decidedly lengthier title. We'll get a review up soon! Fire Panic (200pts - Playtainment) -- An action puzzle game based around putting out fires. This was released recently in Europe and we felt the difficulty of the game didn't do it any favours. Read our Fire Panic review to get the whole story. Flips: The Magic Faraway Tree (500pts - Electronic Arts) -- Another interactive e-book from Electronic Arts, this one is part of a series of Flips based on the stories of author Enid Blyton. You can find out what we thought of it in our Flips: The Magic Faraway Tree review. Reel Fishing Challenge II (500pts - Natsume, Inc.) -- You cannot have enough fishing on the Wii - at least that's what Natsume thinks! We'll give our own view on the subject soon enough. Lead the Meerkats (1000pts - Lapland Studio) -- Could this be the meerkat simulator everyone's been waiting for? 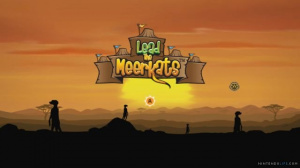 Read our Lead the Meerkats review to find out. Zoo Disc Golf (1000pts - Sonalysts, Inc.) -- Disc golf played at the zoo, as you'd expect. It has meerkats in it, so it might be worthwhile - we'll let you know in our upcoming review. From tidying up the galaxy to trying out life as a meerkat, this week's new game downloads from Nintendo offer a wealth of wonderfully unusual activities. For the Nintendo DSiWare™ service, Flametail™ invites players to incinerate all manner of space garbage, while Don't Cross The Line puts timeless puzzle-solving thrills in the palms of their hands. Also, Nintendo DSiWare users have just a few more days to download the hilarious hand-held battle game Photo Dojo™ for zero Nintendo DSi Points™. (Starting June 11, the game will require 200 Nintendo DSi Points for download.) Meanwhile, fresh additions to the WiiWare™ service include the new fishing-simulation sequel Reel Fishing® Challenge II and the furry fun of Lead the Meerkats™. A new week also brings a new addition to the "Big Name Games" section of the WarioWare™: D.I.Y. series, which features downloadable microgames from some of the industry's most talented figures. Nintendo Power™ magazine staffer Chris Hoffman is the creator of this week's featured game, Power Surge, which asks players to locate and match various Nintendo Power staffers. New "Big Name Games" will be added every Monday through July 26, all available to download for zero Nintendo DSi Points to anyone with broadband Internet access and a copy of either WarioWare: D.I.Y. for the Nintendo DS™ family of systems or WarioWare: D.I.Y. Showcase software for the WiiWare service. Visit the Nintendo Channel on your Wii system today to learn more about these games. Description: The year is 2099, and the solar system is littered with space junk. Our best hope for a tidier cosmos is to send the Flametail incinerator pod from planet to planet for a little fiery cleanup. Take control of the Flametail pod and start winding your way through obstacles, then watch as your flaming tail ignites blocks of troublesome debris and eventually eliminates them. Be careful not to work yourself into a dead end, and don't let the hazard line that follows you catch up to your tail or reach any leftover garbage. Luckily, you can find useful items (such as bombs or score multipliers) along your path and earn special power-ups (like radar or a missile) by collecting letter panels to spell particular words. Effectively burn up the floating garbage in the game's two modes - Space Tour and Time Limit - and earn new graphics and other surprises as you progress. The straightforward controls make it possible for anyone to take on the job of restoring space to pristine condition. Do you have what it takes to make your way to the outer reaches of the solar system? Description: Don't Cross The Line is a puzzle game in which the player must connect lines to various boxes, from one identical box to another, without crossing the lines they draw in the process. There are roughly 50 stages in all. Depending on how quickly you complete each stage, you'll be awarded with a bronze, silver or gold award. To unlock additional stages, players must achieve a certain ranking in previous stages. Can you outwit the puzzles at hand and receive gold awards all around? Description: As a futuristic firefighter in Fire Panic, you face the continuous challenge of extinguishing more and more fires that keep flaring up. To do this, use your Nintendo DSi™ stylus to mark the fastest route for your fire engine to reach each blaze. The engine will follow the line you draw and automatically douse each fire it passes along the way. It's a thrilling experience every time you play. Description: Jo, Bessie and Fanny take their cousin Rick on an adventure he'll never forget to the magic Faraway Tree, where he meets Moon-Face, Silky the fairy and Saucepan Man. They visit all the different lands at the top of the Faraway Tree, including the Land of Spells, the crazy Land of Topsy-Turvy and the Land of Do-As-You-Please, where the children ride a runaway train. The new Flips range brings modern classics to the Nintendo DSiWare service. Readers can collect, solve, interact and learn as they progress through various stories and challenges. Description: Reel Fishing is back! This sequel to the smash-hit fishing game takes you to a pristine new freshwater environment teeming with fish that look and move just like the real thing. You'll go after these wily lunkers with a huge variety of lures and refined controls that provide the most natural and realistic fishing action yet. You'll need every advantage you can get as Reel Fishing Challenge II's 30 varied missions put your angling abilities to the ultimate test. This stunning, true-to-life fishing experience will have you hooked. Description: In Lead the Meerkats, you are a young meerkat with a lot to accomplish. You've been separated from your pack, and the time has come for you to form your own meerkat pack. Are you ready for the challenge? Name your pack and its meerkats. Dig burrow networks and enlarge your territory. Forage for food and grow your pack size. Stay on guard and be ready to make quick decisions. Run to the safety of the burrows or fight your enemies. Go head-to-head with a rival meerkat pack. Lead your pack to victory and rule the savanna. 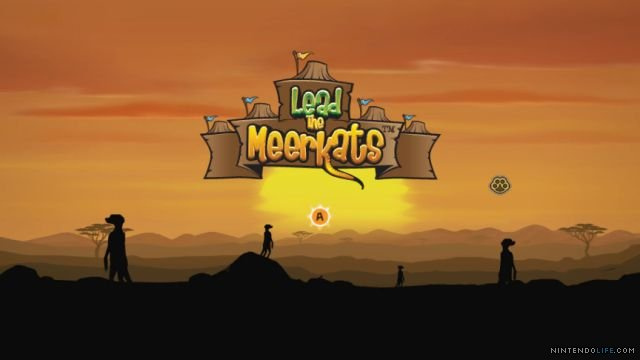 Lead the Meerkats is the first game to simulate the exciting life of meerkats, offering fun game play for animal lovers of all ages. Description: Each zoo enclosure is a "hole" in the Zoo Disc Golf course. The objective of the game is to get your disc into each "goal" using the fewest number of throws - the "goal" being the Emergency Animal Control station in each enclosure. A throw of the disc is equivalent to a stroke in golf and counts as one point. Available characters are the Rockhopper Penguin, Kangaroo, Panda and Meerkat. The Zoo Disc Golf course is made up of 18 holes. Each player is allowed a maximum of 10 strokes on each hole. When players reach 10 strokes, they move to the next hole with those 10 points added to their score. Nintendo adds new titles to the Nintendo DSi Shop and the Wii™ Shop Channel at 9 a.m. Pacific time on Mondays. Users with broadband Internet access can redeem Wii Points or Nintendo DSi Points to download the games. Wii Points can be purchased in the Wii Shop Channel. Nintendo DSi Points can be purchased in the Nintendo DSi Shop. A Nintendo Points Card™ can be purchased at retail locations. All points from one Nintendo Points Card must be redeemed in either the Nintendo DSi Shop or the Wii Shop Channel. They are not transferable and cannot be divided between the two systems. Remember that both Wii and Nintendo DSi feature parental controls that let adults manage the content their children can access. For more information about this and other features, visit Wii.com or NintendoDSi.com. Ehh. Saving my points for Rytmik. Nothing this week for me. Well, the complaining about Shantae, or whatever other Dsi/Wiiware game thats already been publically announced as delayed but people thought would magically appear is obviously going to start soon. That and the VC moans. The only thing that looks interesting here is that incinerator game, but alas, i don't have a DSi. Guess i'm waiting for Kumanage! Nothing for me this week. Gonna be a finish what I got week. not really anything for me this week. looks like Nintendo's getting into a pattern of doing VC every other week. At least we got Kirby Super Star not long ago out of it. Maybe if they take a month off of VC we can get something awesome like Earthbound?... well I can dream. I wonder if the Disc Golf uses WiiMotionPlus? Yay, more puzzles and reading games in the DSiware shop now! Nothing good this week?!?!?!?!?!!! ?!!!?!!?!?!?! I am so shocked beyond reason!!!! How could Nintendo do this to me? At least since I'm barely downloading anything from DSiWare/WiiWare, I'll be more likely to have enough money for when the "3DS" comes out! Oh joy. Another no-show. Guess I'd might as well go to the game shop and get me some old games. Bleh. yay for Reel Fishing Challenge II???? Meh, nothing for me this week. Ugh, so we are back to crappy releases again. Oh well, at least I can look forward to getting Earthworm Jim HD on the XBLA this week. But of course. Yoshi's Island isn't on the horizon for anywhere. Nearly every week that America or Europe gets a VC game, its one thats known to be coming sooner or later. If Yoshi's Island was coming any time soon, we'd already know about it. Mmm... anyway, How about those Lightrax and X-Scape games from last week? Wow I have not bought a WiiWare or VC game since January. Oh well maybe next week there will be something I am interested in. Darn, another no download week for me. This week's even more abysmal that most, IMO. Not even anything I'm SLIGHTLY interested in. Sadly, I knew better than to expect a VC game today, though. I know some companies look at the size alotment and might decide to not make anything for these services, but I, perosnaly, would buy a stellar episodic game. In my opinion, Sonic 4 is a good step in working with the current model. I am with many on here that well sure, I could be angry that its a pretty "meh" week and that yet again there are no VC titles. However, I've begun to just not care lol, saves me money. At the same time, I really miss the excitement I got every Monday when I logged onto the site (when it was just VCreviews.com) and we were getting 3 solid titles a week...I wanna feel that again. I really hope they don't start releasing VC games only once a month. So whats the deal with the VC?? Did Nintendo stop releasing the games for the VC or something this is like the third week in a row that there hasnt been a VC game. IMO the VC has a better choice of games than the Wiiware section. I have bought like 20-30 games from the VC section as opposed to one game from the Wiiware. Come Nintendo bring back my VC games!!!!!!!! @Tasuki There are plenty of good games for WiiWare, try some of them. Check the site for all of the games that are 9/10. With that said, I agree there needs to be at least one VC game a week. This week is a bunch of crap, though there has been plenty of WW quality games as of late. At least Don't Cross the Line and Flametail seem mildly interesting. What? I'm the only somewhat-optimistic person here? edit: ahh.. Flametail name change? @Tasuki: No, there was a VC game just last week: Wild Guns. Wow. This is really getting old, Nintendo. Show us some love!